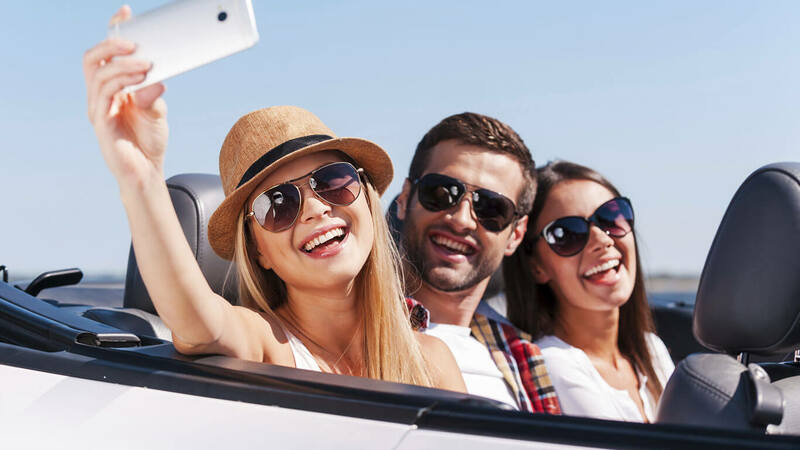 One of the many benefits of Invisalign® is that they are so easy to travel with. As the holiday season is fast approaching, by following these handy tips, travelling with Invisalign® will be even easier. Make your own travel pack. Keep your oral care essentials in one place including your toothbrush, dental floss, elastics, aligner case and chewies. Work out how many aligners you will need to take. How many weeks will you be away for and how many aligner changes will you have during that time? Make sure you will have enough aligners. We would also suggest taking more than you should need, just in case you need to move into your next aligners early or your trip gets unexpectedly delayed. Take good care of your aligners and teeth. Be extra vigilant with your brushing and aligner care, and always keep them in a safe place. Keep your current aligner in your carry-on bag. Occasionally airlines can lose passengers’ bags and you don’t want to be without your aligners! Keep up with your Dental Monitoring! This is an important part of your treatment so that you and your doctor can see how treatment is progressing. Make sure you scan on time and follow the instructions from Dental Monitoring. Always hold onto your last pair of aligners in case you misplace your current set and your following set don’t fit, as these will hold your teeth in their last position. Keep our details handy. Take our email and contact number in case you need some extra assistance or advice. We are always here to help. If you run out of aligners keep wearingyour last pair until we can see you.